RESIDENTS of Glasgow are disappointed that the newly finished ‘bridge to nowhere’ does not lead to an escape hatch from the godforsaken Scottish hellhole. The bridge was started more than 30 years ago and then abandoned in line with most other 1970s architecture. Locals had urged officials to complete the bridge using a wormhole in space-time that would transport bold adventurers to somewhere with less knife crime. 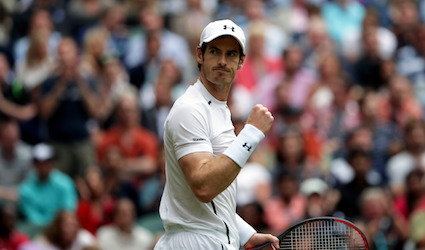 TENNIS has been declared over following Andy Murray’s win. To preserve Murray’s status as the final and definitive champion, tennis has been discontinued and the Wimbledon complex bulldozed. The ground is being salted to ensure grass can never grow there again. Guard dogs wearing Boris Becker masks will patrol the 12-foot perimeter fence to scare off any potential racquet wielders. Murray will be allowed to keep the Wimbledon trophy, which he will eventually give to a charity shop as without the existence of Wimbledon it will just look like a pimp’s soup tureen.